Preventative maintenance is key to avoiding big issues and extending the life of your vehicle. The same can be said for something as simple as routinely changing out your oil, because neglecting that can have serious consequences. Without proper oil changes, your engine can overheat and break down beyond repair. Make sure that you have a reliable, experienced mechanic that can potentially spot other issues while changing your oil. Depending on vehicle age or type, choosing the right oil will make the difference between getting to your destinations and breaking down. Below are some recommended oil changes and types; however, please call us if you have a special request. Many are often confused with how often they should be changing their oil, and what is too often or too little. The recommended timeline for getting your oil changed used to be around 3,000 miles or every three months. However, with advances in engines and oil, many automakers have oil-change intervals closer to around every 7,500 miles or six months. The owner’s manual should be the first place that you look. Your owner’s manual will have the necessary information to accurately tell you how often your vehicle should have its oil changed. Often, you’ll get a “sticker” that is placed in the top right corner of your windshield that will also indicate when you should get an oil change. While you may want to take your vehicle to a mechanic for an oil change, you should make sure that you are keeping an eye out on your oil levels. You should check your oil levels every month by using your vehicle’s dipstick. To do this, first, make sure that your engine has cooled down, and your car is on level ground. When the temperatures under the hood have cooled down, take out the dipstick and wipe it down with a clean rag. Next, push the dipstick back into where you pulled it out from. Wait a few seconds. Then, pull the dipstick back out again. On the dipstick, you’ll notice markings that will tell you if you need to add oil. Do so accordingly after reading your oil levels. If there wasn’t an oil marking, make sure you add oil, immediately. Most vehicles have a light that will come on that will notify you when oil levels are of concern. We live and breathe vehicles here at KB Tire & Auto, and it’s our job to combine that passion with a commitment to great customer service and satisfaction. Taking exceptional care of mid-Missouri is something that we pride ourselves on along with our knowledge and expertise. We know you’re busy, and getting your oil changed isn’t always something that you look forward to. That’s why we do our best to get you in, do our job and get you back on the road as safely and quickly as possible. 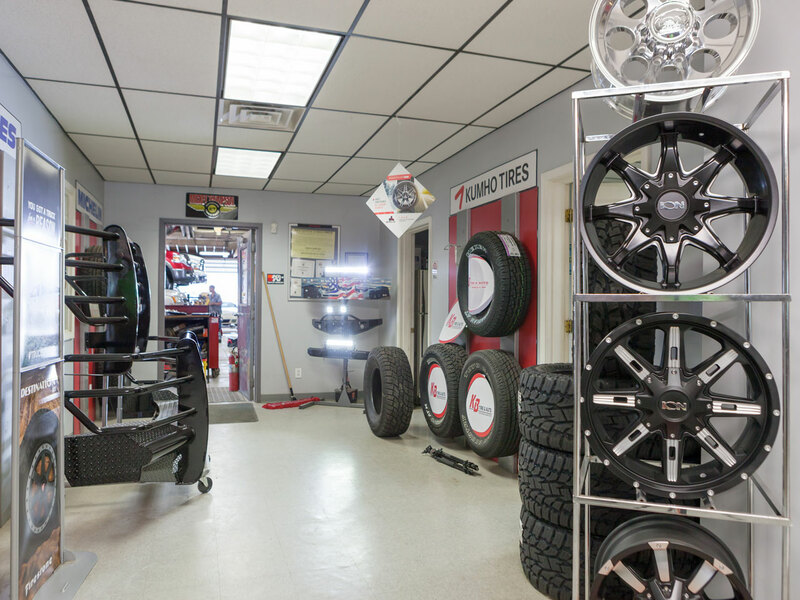 We value your time here at KB Tire & Auto! Make KB Tire & Auto your home for oil changes and much more. Call or email us today to get your oil change under way!